Sales Book Review: New Sales. Simplified. My daughter was a flower girl in my wife’s cousin’s wedding recently. So my wife, daughter, and her parents flew out to LA to make it to the rehearsal in time. I flew out Friday evening to join them. 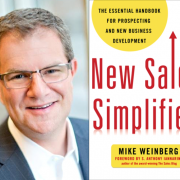 I ordered Mike Weiberg’s book “New Sales. Simplifed.” on Amazon and took it on the plane with me. 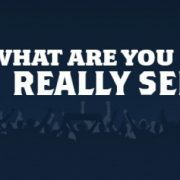 http://www.connect5000.com/wp-content/uploads/2016/07/blog-pic-88.png 530 700 Ray Ruecker http://www.connect5000.com/wp-content/uploads/2016/07/connect5000.png Ray Ruecker2016-08-29 14:18:122016-08-29 14:21:13Sales Book Review: New Sales. Simplified. 1/4 Inch Hole or 1/4 Inch Drill? I came across 2 articles this week on selling with features and benefits instead of outcomes and results. http://www.connect5000.com/wp-content/uploads/2016/07/blog-pic-87.jpg 303 728 Ray Ruecker http://www.connect5000.com/wp-content/uploads/2016/07/connect5000.png Ray Ruecker2016-08-08 15:53:592016-08-10 10:46:051/4 Inch Hole or 1/4 Inch Drill?